Celebrate 100 years of Bollywood in India! Think epic family dramas, panoramic landscapes of lovers dancing and melodious tunes. Indian cinema has developed a global reputation. 2013 is the year India celebrates 100 years of its unique cinematic industry. Join us on a journey of masala and magic! The silver screen is the living, breathing – and not to mention dancing and singing – heart of contemporary culture in India. From wedding halls, sound systems of snazzy auto rickshaws or roadside chai stalls, classic Bollywood hit songs are frequently heard chiming the air in every major city in India. You’ll find every generation of a family settling down in the movie theater to enjoy the latest three hour-long Bollywood film – including an intermission. Yet the captivating “Bollywood” culture that has catapulted into all elements of society was not always so flamboyant. The first Indian movie, Raja Harishchandra by Dadasaheb Phalke, was a silent movie and it was not until 1931 when Indian movies gained sound. The Golden Age of Indian cinema came after the country’s Independence in 1947 and by the 1970s India had become the largest film producer in the world and this is when the term Bollywood was coined. Unlike Hollywood, Bollywood isn’t a physical location; however it’s easy to get a flavor for it if you venture to Mumbai, the home of the industry and a city of dreams for aspiring and flourishing actors. Almost 1,000 movies are released from India every year. 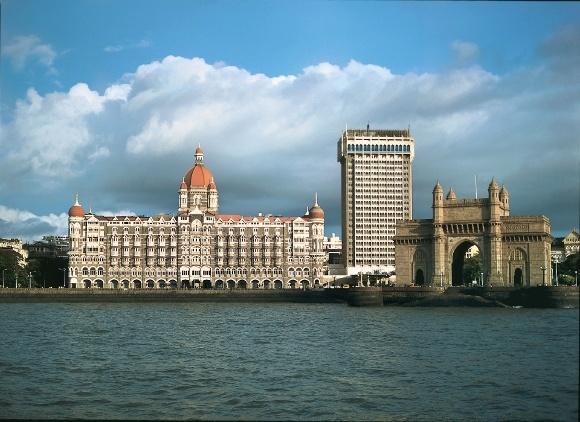 Enchanting Travels Top Tip: When visiting Mumbai, stay at the Taj Mahal Palace, the hotel of choice for movie stars, celebrities and heads of state. The iconic Taj Mahal Mumbai preceded the famous Gateway of India by 20 years. The ancient Indian epics the Mahabharata and Ramayana – which are the longest stories in the world – had an important influence, along with early Sanskrit dramas and Indian folk theater that combined music and dance, as well as Parsi theater that had aspects of fantasy and melodrama. That’s why you’ll find the Taj Mahal being sold in the 2005 movie Bunty Aur Babli. It’s also thought that in the musicals of 1920s to 1950s Hollywood made an impression, which is the reason you’ll witness stunning backdrops in many movies for the famous musical numbers, including the impressive architecture of the abandoned Mughal city of Fatehpur Sikri for the song Nahin Hona Tha in the 1997 film Pardes. If you’re seeking a vibrant, multi-sensory experience then 2013 is the year for you to visit India. If you want to unwind in style with luxury fine dining experiences or explore the neighborhood of the stars on a Bollywood tour then including Mumbai in your itinerary is an absolute must. However you can see a Bollywood movie on the big screen for an authentic experience in any Indian city. You can also travel to some of the most popular and beautiful scenic locations as seen on screen, such as Rishikesh, Shimla, Udaipur, Ladakh and Darjeeling. Raja Harishchandra will open film festivals in honor of the centennial celebrations across many major cities in India and the rest of the world in May 2013. Get in touch with one of our Travel Consultants today for a private, tailor-made tour of India!